Hi everyone! My name is Joanita. I am honoured to be your Certified Yoga Teacher! As a Yogi, I am a seeker! I was attracted to yoga because a lot of things in the world didn’t make sense and yoga has always brought peace, calmness in me and above all it unites my mind and my body. Practicing Hatha yoga is really there to prepare the body and mind for the bigger work in life. My practice keeps my body in good health (now it’s like a fit vehicle ready for purpose). My every day practice also helps me engage with my breath and feel the energy of life as it unfolds in each moment, on and off my mat.Everything is perfect as it is, there is no need to change anything and this is a big challenge. Rising to this challenge opens up to the promise of yoga – let it go and live life in the present moment, grounding in my natural state of being and with the world around me. 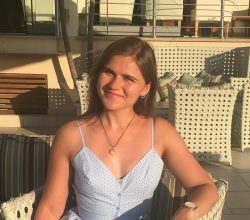 I am a proud mother of three beautiful children and as a qualified yoga teacher I am committed to my daily practice so that my teaching is always up to date. Education through yoga is caring for the development of our entire own being. My class on Thursday morning will focus on alignment and maintaining good posture, with each class ending with a deep relaxation. Stretching will be subtle and effective while finding comfort in building strength and flexibility. If you are new to yoga or the idea of a gentle yoga class appeals to you, you have found your style! Visit www.yogakoshas.com for more details. “The trees are in their autumn beauty, The woodland paths are dry, Under the October twilight the water Mirrors a still sky. Wow… this has to be one of my favorite months. 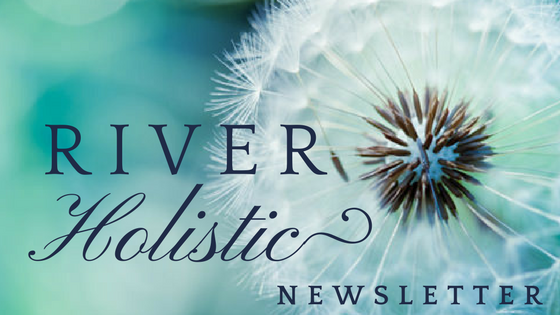 It’s a time for change and beauty, which is so fitting for us here at River Holistic. We have transformed our centre into a beautiful tranquil space just for you. We closed our doors for a week at the beginning of September to let our new chapter here at the Centre unfold. We can’t wait for you to come in and experience the transformation. We will be holding an open evening next month, so you can come in and meet the amazing team of therapists and teachers who I have the honour of calling my Holistic Family. If you are interested in getting an exclusive invite to this then please give us a call and we will put your name down on the VIP list. All will be revealed soon. As always, I am so grateful to everyone for making this Centre the tranquil space it is today. This unique course teaches you how to meet the emotional needs of the children you work with. Learn how to deliver unique, unscripted meditations. 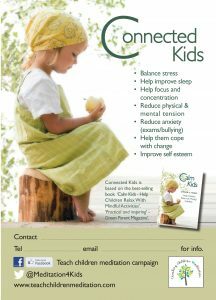 Perfect for parents, educators, health care professionals and therapists. Learn how to reduce stress, promote self regulation, promote study and sleep, improve health and well-being. This one day course trains you to confidently understand and deliver meditations and mindfulness to individuals and groups; from toddlers to teens. Certificate of attendance. €195 (€50 deposit). Level 1 is a pre-requisite. This two day course develops your skills and confidence as a Meditation and Mindfulness Teacher. Learn how to meet the emotional needs of the children you are working with; learn how to teach intuitively and unscripted. Learn various techniques including sound, movement and art meditations. 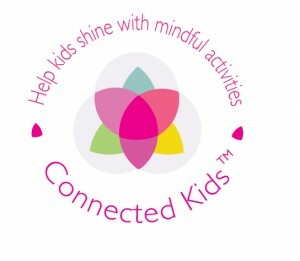 Professional certified qualification as a Kids and Teens Meditation & Mindfulness teacher. €660 (€575 early bird price) €85 deposit. Ruth has been teaching meditation for 10 years. She is also a Hypnotherapist, Regression Therapist, Reiki and Seichim Master Teacher. We are hosting a Workshop for those who might be interested in our Certificate and Diploma course but would like to get a sense of what it’s all about first. At the Workshop you get the opportunity to meet the trainers, ask questions about what the course involves and see a Bio Energy session in action. Bio Energy is a gentle healing therapy, it is easy to learn and since no special abilities or background is needed, it is accessible to everyone. Throughout our life we continue to evolve, grow and learn. If you are looking for something to enhance your self-development, interested in energy work or want to be more creative, healthy, positive, vibrant and enthusiastic then our course is for you! 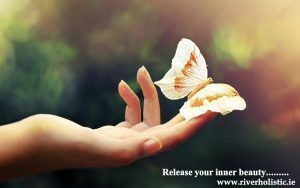 We teach you a practical and grounded way of working with energy that can enhance your wellbeing, personal growth, self-esteem and confidence. You may choose to dip your toe in the water and undertake our Certificate course for personal and professional development. Or you may prefer to undertake our Diploma training course and become a fully qualified Bio Energy Therapist. Bio Energy Therapy is a simple non evasive holistic therapy. It is a completely natural therapy and is safe for everyone to experience. Bio Energy Therapy is simple, easy to learn and enjoyable to do. Since no special abilities or background is needed, it is assessable to absolutely every one, of any age and capability. Bio Energy Therapy can successfully be used with an existing therapy you may already have. The Certificate course offers hands on experience and teaches you the basic protocols of Bio Energy Therapy. This can be used on your family and friends. Our Diploma course qualifies you to work as a fully qualified therapist. Our courses have been beautifully designed to allow students to build upon the previous month’s learning. 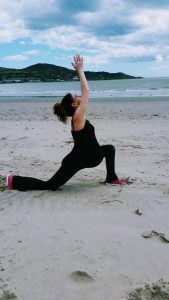 Many women when pregnant attend a pregnancy yoga class: to keep toned, to stay flexible, to prepare their bodies for labour and birth, and also to meet other mums in their area. But once the baby is born it can be easy to lose the connection with other new mums, and feel disheartened about the physical and emotional effects childbirth can have on your body. Postnatal yoga uses movement, balance and relaxation to allow your body to recover from pregnancy and birth. It helps to heal the body and mind, and repair all the tissues back to their former glory. It is designed for mums with their babies and so incorporates the little ones into the practice, either using yoga asanas to keep the babies entertained, or holding the babies as part of the yoga itself. The class is designed to nurture new mums and provide a safe environment for them to heal and repair their bodies, to talk about their experiences of birth and as a new mum, and safely allow them to reconnect with their bodies – without their former passenger! Restores the body towards full core strength. Our new postnatal Yoga class will be starting back tomorrow the 6th of September at only €40 per 4 week term how can you say no. To secure your space just follow the link and book now for your time to get back to the new you. The Beauty of Bio Energy and what to expect. The Beauty of Bio Energy and what to expect in a session. 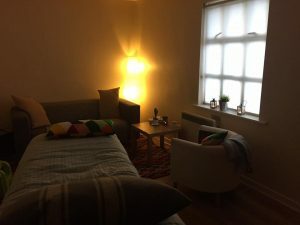 Hi my name is Mairead Flanagan, I live in Dublin, I am a Bio Energy Therapist, I qualified with a Diploma from the Bio Energy school of Ireland. I discovered Bio Energy Therapy when it was recommended to me by a friend. I started sessions and felt wonderful. Almost immediately I felt more relaxed and felt like a weight had been lifted off my shoulders. My concentration and mood improved and I felt calmer and able to think more clearly. In fact it had such a wonderful effect on my life I decided to study to be a therapist myself, so I could share this wonderful treatment with other people. This is some information about what to expect from a Bio Energy session from myself. One of the things I Love about giving Bio-Energy sessions, is each and every session is unique. You will experience every session differently and may have different sensations in each session. I always say to a client at their first session, there is no right or wrong way to be. The session itself lasts about 40 minutes or a little more, most of which is spent lying on the plinth after our initial chat. There are 3 main sections to the energy session, firstly I scan the energy field or chakra system for energy blocks, which I find usually in one or more of the seven main chakras. Then I work on clearing these blocks and detoxing the body, lastly, I go about energising and balancing the chakra system and bringing in powerful earth and cosmic energy which both energise and ground my client. When the session is finished I will give the client feedback on the session and what I felt during the session. Then you have an opportunity, if you wish to tell me about your experience of the session. I will give the client advice on how to help to continue to clear the block at the particular chakra I was working on. For example, if I was working on the root, to help to continue balance and detox I would recommend wearing the colour Red or eating red fruit or lighting a red candle, meditation or spending time in nature at the park or walking by the beach bare foot in the sand if possible are some examples of balancing the root chakra. I have found with so many clients that they have found great clarity after a course of sessions. Which has helped them to make life changes they were struggling with, or make a decision that before seemed out of reach. I have seen clients gain confidence and experience more joy in their life. I have seen clientsstart the course they have been talking about for years or make a change in their career. A lot of clients describe it as having a heavy weight lifted off their shoulders they feel freer and lighter and able to think more clearly. Bio energy healing with Mairead was super relaxing and found it to be highly effective for what I needed it for. 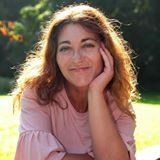 It really helped shift some limiting beliefs I had about myself and for that I’m hugely grateful. Highly recommend and look forward to my next session already. My 6 year old son had a session recently, he thoroughly enjoyed it and can’t wait to go back. Mairead was brilliant with him, I could see the difference in him after 1 session, would definitely recommend bio energy for children. If you would like to contact Mairead for more information or if you would like to book a treatment follow below. 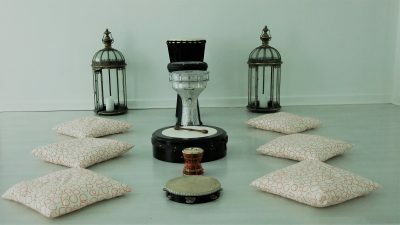 A four week workshop, exploring the links between and the benefits of, group drumming and rhythmic meditation. 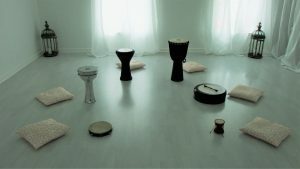 Open to complete beginners aswell as more experienced drummers, John and Eoin will guide the group in finding and utilising the primal sense of rhythm, to explore the social, psychological and physiological benefits of this most ancient form of group therapy. We use the Japanese Zen term ‘Mushin’ (empty mind) to describe the altered mindstate induced by rhythmic meditation, but in reality, this is far deeper-seated within the human brain than any religion or philosophy, and may bring us closer to our inner self, through wordless action, than any other activity. (It’s also great fun). All drums will be provided for the workshop, but anyone wishing to bring their own may do so. Each session will begin and end with a grounding meditation, and run for approximately 90 minutes in total. Cost for the four week course is 100 euro per person. Put the pep back in your step with Peppermint. Peppermint oil has been used as a tonic for centuries, and its fresh aroma is evident in toothpastes and mouthwashes today. Peppermint is a powerful digestive stimulant; it aids the digestion of fats and strengthens liver function. This makes it an excellent oil for relieving indigestion and treating gastric fevers and diarrhoea. Peppermint stimulates the circulation, reviving aching muscles and joints. It is also a powerful decongestant and can be used to help with fevers and respiratory infections. Additionally, it acts as a good deodorant. Peppermint complements other decongestant oils, especially eucalyptus and thyme, which work to boost the body’s immune system. Its aroma can also help to cool feelings of anger, hysteria or emotional burnout. Refreshing Peppermint oil invigorates the mind, acting as a nerve tonic and stimulant. 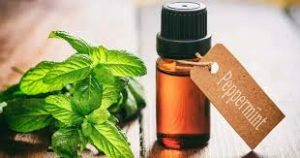 ~ To sharpen concentration and alertness, simple combine 5 drops each of peppermint and basil oil with 10 drops of lemon in a room vaporizer. ~ To fight mental fatigue and emotional burnout with a stimulating whole body massage. Add 50ml sweet almond oil to 4 drops each of peppermint and geranium and 10 drops rosemary. 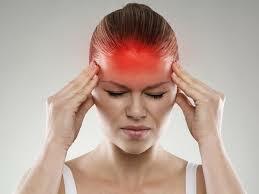 ~ Clear headaches with a soothing neck massage using peppermint and lavender oils. Use Peppermint’s digestive and antiseptic properties to help with common digestive disorders. ~ For relief from constipation, dilute 3 drops of peppermint, 5 drops lemon and 7 drops rosemary in 25ml of grapeseed oil. 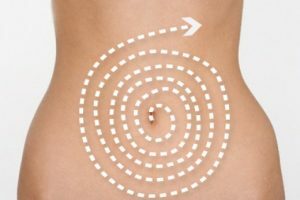 Massage gently over the abdomen in clockwise, circular movements every couple of hours. ~ Help with diarrhoea with an aromatic compress. Mix 5 drops each of peppermint, ginger and marjoram in hot water. Soak a facecloth in this, wring and apply to the abdomen. Just what the doctor ordered after a long day on your feet. ~Relieve aching feet in an invigorating foot spa that contains 4 drops each of peppermint and geranium along with 3 tablespoons of Epsom Salts. ~Combine 3 drops each of peppermint, rosemary and lavender with 25ml of grapeseed oil for a invigorating foot massage. Firm, brisk strokes will increase circulation. ~ Make your own antiseptic foot powder to treat athletes foot. Simply add 5 drops lavender and 3 drops peppermint to 2 tablespoons or corn flower. ~ Add 2 drops each of peppermint, rosemary and lavender to boiling water. Place towel over your head and inhale steam for 5 minutes. 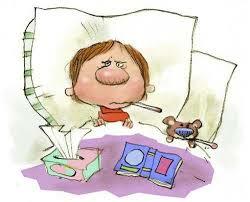 ~ Treat feverish colds by putting a few drops of peppermint, eucalyptus and pine in a room diffuser or oil burner. We have some amazing Aromatherapists available at the centre or just pop in to buy this astounding oil. My name is Brigita Volkova, I am a Hatha Yoga teacher. Originally started Yoga practising since 2013. I became so passionate about Yoga so I decided to become a teacher. I understood that Yoga is everything and even more, but the most what I understood how to find the inner balance. I would like to share my energy and knowledge with you all and help to find your own inner balance. 4 week course – €55, or drop in €15. Yoga Instructor 250 Hours YTTC registered with Yoga Alliance. Most of you Know me as Anna Gale but I also have another name, a name to remind me of my inner truth. It is a name I chose on the 1st of March 2012 while in Pune OSHO Meditation resort India. My name is Shunyatta and it means ‘no thingness’. Taking a sannyasin name is a bit like giving up smoking once you tell everyone you are letting them know to support you and to encourage you to quit, with a sannyasin name you are letting everyone know that you are trying to live an authentic life with honesty, truth, awareness and consciousness. Let me tell you not always an easy thing to do. But there is one beautiful place within you that encourages you, that supports you, and that reminds you and tells you you are loved your are love and that is your heart. The OSHO Active Meditations shifted something very profound in me, I can’t describe it in words it is something that needs to be experienced from your own heart Centre. I have trained as an OSHO meditation facilitator so I can share these meditations with you. Each meditation is so unique and have been designed so scientifically by OSHO to suit the western Man/Woman. You will experience shaking, vibrations, dancing, belly laughter, crying to pure inner silence. From Kundalini to No Dimensions there are so many, some you will love and some you will resist. The meditations are a blend of Tao, Buddhism, Sufism, paganism all the richness of a tapestry. So with all the ‘isms’ come along to experience for your self. The OSHO Active Meditations are being held every Thursday evening commencing at 6.20pm and last 1 hour. As the meditation can not be interrupted being on time is crucial as the introduction is as equally important for you to understand the process. The cost is €15 for wages and €10 for unwaged.